I saw this display yesterday on ‘milk tooth’s rain‘ and thought it was such a clever idea. 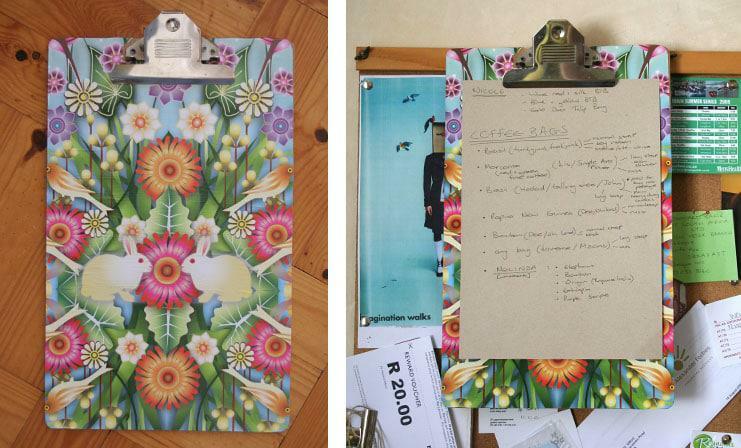 So, I took my old and plain brown clipboard and decided to ‘make it pretty’ too. I have a bit of a wrapping paper fetish (if I see one I like, I buy it. I have a collection but sadly they always get damaged before I can use them. My idea is to get architecture draws (but they are like hen’s teeth to find) and my papers can all be stored safely in them). Anyway, I took one of my favourite wrapping papers, cut the outline of the clipboard, coated the clipboard surface with a thin layer of wood glue, carefully stuck the cut out wrapping paper down and then coated the surface with a clear varnish. 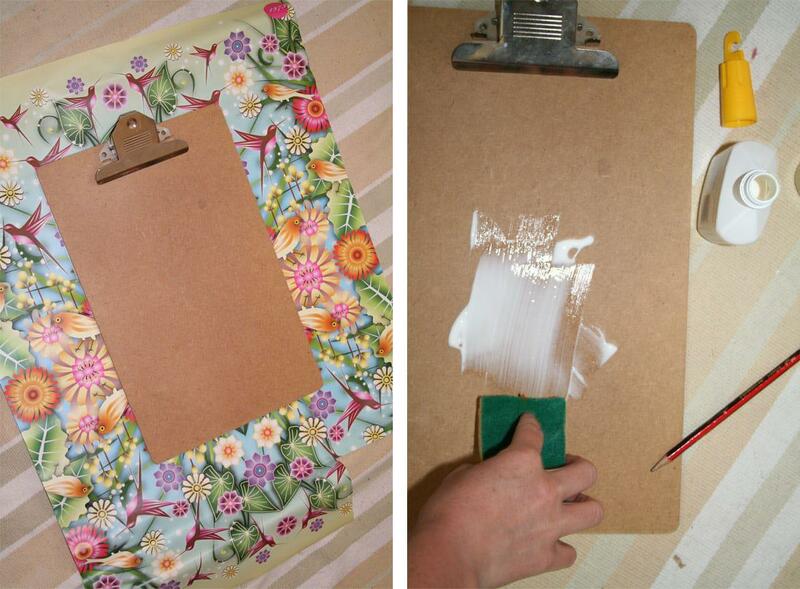 It was as simple as that and now I have a beautiful and fun clipboard. 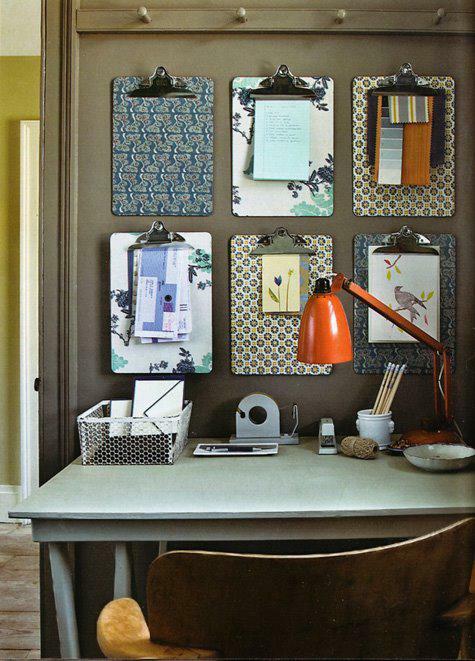 This entry was posted in DIY Projects and tagged Clipboard, covering, decopauge, decorating, DIY clipboard. Wow…this looks great,Wendren!Very good idea! I have today a creative post in my blog too ;O))! How did you cut out around the clip part of the clipboard? Did you have to remove that part, cover it, then put the clip back on? BEAUTIFUL WORK and IDEA! I turned the clipboard around and placed it on the edge of a table on a cutting board (the clip just off the edge so that the board could lie flat). I then took a craft knife and cut the excess wrapping paper off. Did you use a spray varnish or brush on? I probably brushed on about three layers, each in a different direction so that the brush marks were not evident.